Ayurvedic Treatments have been in use since ages. All natural ingredients and herbs are used in ayurveda to treat all kinds of ailments and problems. Ayurvedic treatments are known to be much more effective than all other kinds of remedies. The most important point is that these remedies have over little or no side effects. So, you can use this treatment without any worry over its consequences. 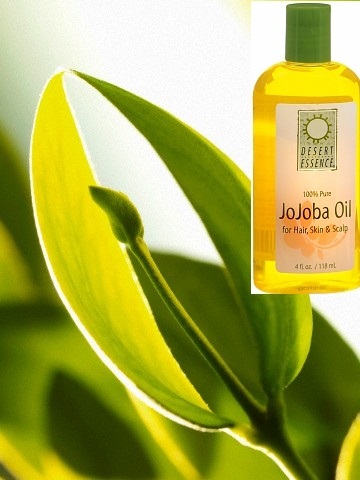 Jojoba oil is a commonly used remedy in Ayurveda. It is really good for better hair growth. Jojoba oil is well known as a good moisturizer for the skin, which is good on sensitive skin as well. Along with that, it has positive effects on your hair growth too. Jojoba oil is very common oil, but do you know what it exactly is? It is nothing but a kind of wax. This wax is derived from the jojoba plant. 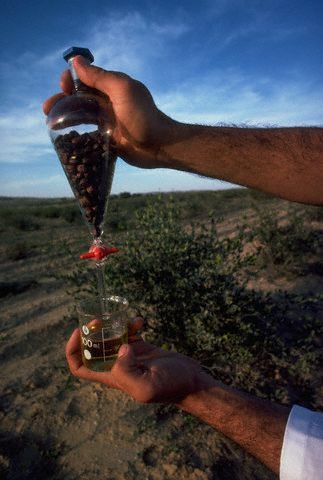 The seed of the plant is taken to make the oil. Simondsia Chinesis is the scientific name of this plant. Mexico, Arizona, and California are places where you can find the jojoba plant. Jojoba oil was unknown to mankind for a very long time. A while ago, when killing whales was made illegal, people had to find out other alternatives for getting oil. During this time, jojoba oil was discovered, and its benefits made the oil a very popular one within a short while. Even though sebum has got a lot of benefits and it is absolutely necessary for proper hair growth, too much sebum can be harmful. It causes clogging of the hair follicles, and hinders the growth of hair. As such, excess is not good for your hair. Jojoba oil does keep your scalp moist, but along with this, it is also a great cleanser. Any blocks caused by excess sebum are removed to make your scalp clean and clear. If you want healthy hair, it is important that you keep your scalp healthy. The health of the scalp has a profound effect on your hair health. There are sebaceous glands on the scalp. These glands secrete sebum, which is a kind of oil. It is this oil which is responsible for keeping the hair follicles active. It also has a major contribution to the proper growth of the hair. If there is a deficiency in the production of this oil, your scalp gets dry. This leads to your hair becoming dull and dry, and eventually causes hair fall and split ends. So, you see how important scalp health and sebum are for good hair. Jojoba oil is makes sure your scalp remains moist naturally. This stimulates growth of hair, and you get beautiful, thick and long hair. Bacteria and fungi can cause infections on the human scalp. Any such infection causes stunting of hair growth. In the minor stages, you may not find any signal to get alert. You may not even understand that there is any such infection on your scalp. The symptoms start appearing only later on. Slowly, the follicles start getting damaged. Jojoba oil is the best thing that can save you from this condition it has the ability to fight against all such infections. Using jojoba oil will help treat the issues and get rid of the fungi or bacteria. Jojoba oil helps increase blood circulation on the scalp. Massage the oil well, deep in to your scalp. This leads to better circulation on your scalp. Massage for a few minutes to keep your scalp healthy and stimulate the hair follicles. You can use jojoba oil in a number of ways to benefit your hair. Massage your hair regularly using jojoba oil. A regular massage has great effects on the quality of your hair. Take a few drops of jojoba oil and mix it with coconut oil, almond oil, or olive oil. Heat up the mixture to make it warm, and massage well in to your scalp. Jojoba oil acts as a good conditioner. The moisturizing properties of jojoba oil condition your hair, and keep it well hydrated. Jojoba oil has the property to turn rough hair in to soft and lustrous hair. Take a few drops of jojoba oil and mix in to your regular condition. Use this conditioner after shampooing, to keep your hair healthy. For any kind of hair treatments, jojoba oil is the best product. In case you are worried about your split ends, use jojoba oil to treat them. Take a few drops of the oil in your hand and apply on your split ends and the rough areas of the hair. It works like magic, and makes your hair just so soft. Too much styling and exposure to heat causes wear and tear of the hair cells, and makes the texture rough. Jojoba oil helps solve all these issues. Jojoba oil is an essential oil. Along with other types of essential oils like lavender oil, rosemary oil, and olive oil, you can find jojoba oil in any of the markets. You can get the oil from any aroma therapist too. Jojoba oil is easily available in stand-alone bottles from all these places. Other than that, in the market there are a number of products available, which contain jojoba oil as an ingredient. In most hair care products, jojoba oil is an essential ingredient. Read out the labels of products before you buy. get hold of the products that contain jojoba oil, and use them. Check out the percentage content of the oil, too. Jojoba oil is very useful for better growth of the hair, and also keeps your hair and scalp healthy. Use it for a while to see the magic that it brings upon your hair, and you will never want to let go of this wonderful product.